Dr. Igor Krupnik is Curator of the Arctic Studies Center at the Smithsonian National Museum of Natural History in Washington, DC. As a member of the Joint Committee for the International Polar Year 2007-2008 and the U.S. National IPY Committee, he has worked to raise awareness about socio-cultural issues, ecological knowledge, and environmental observations of northern residents. Together with Dr. Claudio Aporta from Carleton University, Canada, Dr. Krupnik coordinates a major IPY project called SIKU (Sea Ice Knowledge and Use - IPY project n° 166), which involves scientists from six nations and over 20 indigenous communities in Alaska, Canada, Greenland, and Russia. Dr. Krupnik is also a member of the Joint Committee for the International Polar Year 2007-2008 and he was a member of the U.S. National IPY Committee, which produced a "Vision for IPY 2007-2008" document in 2004. He worked hard to bring socio-cultural issues, ecological knowledge, and environmental observations of northern residents to the agenda of IPY 2007-2008. In this interview, Dr. Krupnik reflects on the success of social scientists' participation in IPY 2007-2008 and looks forward to the IPY Oslo Conference in June 2010, which will be the first opportunity for all scientists who participated in the IPY to interact with one another. From a social science perspective, were there any issues you felt were unresolved in this IPY? One of the issues that I would like to be revisited one day is the idea of an ethical statement for IPY 2007-2008. Grete Hovelsrud from CICERO (Center for International Climate and Environmental Research, Oslo) and I, two social scientists on the IPY Joint Committee, first raised this issue back in 2005 and 2006. 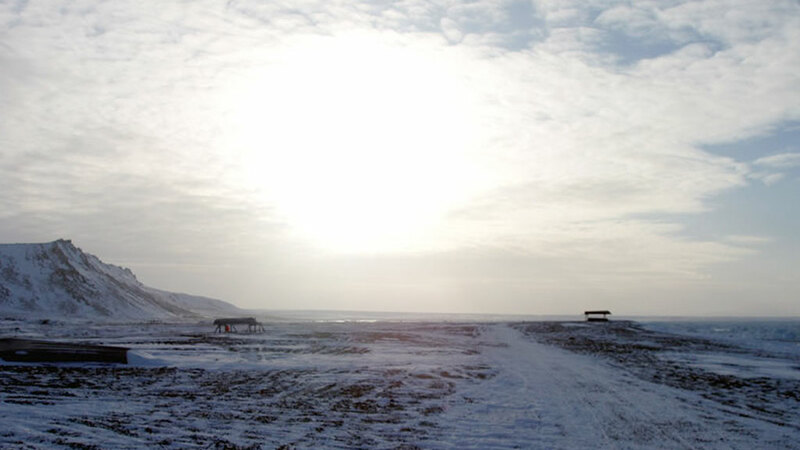 In Arctic science, there is an established set of ethical principles and guidelines for conducting research in the Arctic that was originally developed in the early 1990s. Many national Arctic polar programmes operate within these or similar sets of ethical principles. For example, Polar research conducted under the NSF funding in the U.S. (and elsewhere) must abide by certain rules and IASSA (International Arctic Social Sciences Association) has also published guidelines on its website. I did research on various types of ethical guidelines used by various national agencies or institutions and collected them for the use in this IPY. However my colleagues on the IPY Joint Committee didn't believe we needed extensive set of ethical principles or a special declaration on the ethics of science in this IPY, saying that we already have enough standards and principles and regulations. Complying with the established permit policy and doing ethical science under the arrangement of the Antarctic Treaty seemed sufficient to most of them. So, the idea generated limited support among our colleagues. As a result, the IPY 2007-2008 adopted rather rudimentary statement on the ethical principles of its research, which was eventually posted on its main website, although it was only half of the size we originally suggested. I believe we could have done a better job to raise public awareness of the ethics of science. But it's a steep slope to climb to make everyone aware that you need ethical principles of conduct, particularly for those doing research in Antarctica or in the middle of the Greenland Ice Sheet, where your ethics pertains mostly to your colleagues in the field because no one lives in these places. But when you're working in areas where there are local populations, then I believe you have to have a certain code of ethics: how you behave, what your research is about, how you share the results of your research, what your responsibilities are to those people in whose backyard you're working, how you communicate with them, how you explain to them the value of your work, how your work may be beneficial to them, and so on. It's a completely different situation. In spite of this reported setback on the ethics issue, do you think the social science contributions during the fourth IPY have been sufficient? I would say yes because we went from a zero level of input in the IGY to whatever we can measure our contribution to be during this IPY, be it 10% or 20%. That alone is already a huge development. Could we have done better? All I can say is I hope social scientists will do better in the next IPY. You have to remember that when the idea was first proposed in 2000-2001, nobody was thinking about whether to invite space scientists or meteorologists to participate. Everybody knew they were going to be in it from the beginning. But there was a huge discussion as to whether the IPY needed social science. I hope for the next IPY, whether it's 25 or 50 years from now, there won't be any need for this kind of discussion. I like to think we social scientists earned our place and created a legacy through our participation in this IPY. Do you think that running projects in which social science was mixed with natural and physical science helped cement the place of the social sciences? I don't want to speculate what will eventually be the most visible fingerprint of our involvement in this IPY. The jury is still out not only for the assessment of the contributions of social scientists by social scientists themselves, but also by physical and natural scientists who still have to weigh in on the benefits they obtained from our participation. I'm really very interested in the way the Oslo Conference in June 2010 will be planned and implemented, because this will be perhaps the largest forum for such a discussion. It's being planned with a very strong social science component. But I would argue and keep arguing with my colleagues that we social scientists need to increase our presence at the Oslo Conference not only to demonstrate what we have done in this IPY but also to interact with other scientists so that they will be able to recognize our contribution. Many natural scientists had hardly interacted with social scientists or anthropologists like me before this IPY. It's important for everyone to see that social scientists have contributed to the same common venture, whether it's us working with them on the same project, or natural scientists finding our data interesting or just being intrigued by us bringing indigenous knowledge to the IPY programme that maybe eventually helped them to do their own research. We have to wait and see. Do you know at this point how strong a presence the indigenous communities will have for the Oslo Conference in 2010? I have a basic idea because we have a preliminary list of applications. But I wish we had more. But it's going to be up to us social scientists to make this happen. During this IPY social scientists have acted as prime mediators between the IPY science network and indigenous communities. We've been working with indigenous communities for decades and have created strong connections to these communities. So it's much easier for us to invite our indigenous partners to attend the Oslo Conference rather than for them to get an invitation from some unknown body. I think we need to work harder in order to bring more indigenous partners into our projects to participate and to speak at the Oslo Conference, even to have sessions focusing on indigenous communities. I think everyone would learn from it. It's a two-way knowledge street that would benefit indigenous peoples and scientists alike. So you're saying that social scientists have been the primary link between indigenous peoples and natural scientists in this IPY? I am. I wouldn't say that the IPY would have had very little appeal to indigenous communities without social scientists, but without us working as partners, collaborators or mediators, indigenous participation in this IPY would have been much smaller. Of course that's not to say natural scientists don't have their own connections within indigenous communities, especially those doing research on marine mammals or terrestrial ecosystems. Biologists have been working with indigenous communities more often and more recently than other natural scientists and many of them have developed their own network of connections. Social scientists aren't out to monopolize interaction with indigenous communities. The more interaction there is, the more people share in the advantages. However now I think we're seeing natural scientists learning the value of cooperating with indigenous peoples, like those interested in doing research on sea ice. They've come a long way in working with indigenous peoples. And the IPY created a framework within which these kinds of synergies could take place? Yes, I would say so. This IPY definitely produced a spike of interest in indigenous participation in research ventures due to the fact that it is a major interdisciplinary multi-year scientific venture and because it has an officially stated indigenous and social science participation. You may recall that in order to receive project endorsement from the IPY Joint Committee, researchers had to comply with certain criteria, including those we asked to be included on the evaluation sheet. These included the issues of indigenous participation, impact on local indigenous communities, sharing knowledge with them and having an educational component, which included educating not only the people back home, but also people whose backyards in which the research was being conducted. Many national committees, particularly in those countries with territory in the Arctic, learned that having indigenous components even on natural science projects is a plus, and it came through social scientists' participation in this IPY. So including indigenous people and their communities to some extent or another in research projects can increase the chances of it getting funding? The governmental agencies that determine how science funding is awarded are far ahead of individual scientists in my opinion. Including indigenous participation in research activities is being led by the granting agencies, not by individual scientists. If you're a scientist and you have indigenous participation in your project, it's likely to get approved sooner than if it didn't. This encourages scientists to ask themselves how they might be able to benefit from the indigenous knowledge that's out there. Scientists can learn a lot from local people, getting insight from their traditional ecological knowledge, learning about the area, learning about links that normally you don't consider and getting interpretations outside of the conventional scientific scope. Indigenous people know a lot. But you also have to think about giving back to the indigenous communities you plan to work in or near. There are many ways scientists can do this. One is by sharing with local people - particularly with schools and students - the research we do. It's even possible for scientists to become part of the local economy by employing local partners, especially given the fact that unemployment can get as high as 70% in some of these communities.